Remember yesterday when I said that I’m not Martha? Well, turns out I have an even longer way to go before I can decently frost/ice a cupcake. While cartoon characters and phancy fondant work can uplevel a cupcake to whimsical glory; some of us just may not be able to. But we still want to bake; and bake from the heart. I fall into that category. And I think birthday treats, especially, should come from the heart. I also believe that toddlers who are crazy about Dora, Peppa the Pig and Thomas the Tank Engine will still eat a cupcake that is not adorned with their faces- as long as it is good! That is what this cupcake is. Yummy. Gooey. Fun. From the heart. And sweet. Like a cupcake should be. Oh and I just love these. When I see them at an airport I HAVE to pick up a whole bunch of them, like my life depends on it! Nutella is also a great tool to construct quick desserts- sandwich them between store-bought cookies and serve with ice cream for a last-minuter,or whip up a no-bake cheesecake with digestive biscuits and cream cheese, à la Nigella. NOTE: Before you begin baking, ensure that the Nutella, eggs, milk and butter are at room temperature. Line a cupcake tin with paper or foil liners. In a bowl, whisk the flour and baking powder and set aside. In a large bowl, whisk the Nutella, sugar and butter until nicely combined. The sugar may not dissolve at this point; but that’s ok.
Add the eggs one at a time, whisking after each addition. Once the batter has come together, pour into cupcake molds. Bake at 180C for 20-25 minutes or until a skewer inserted comes out clean. 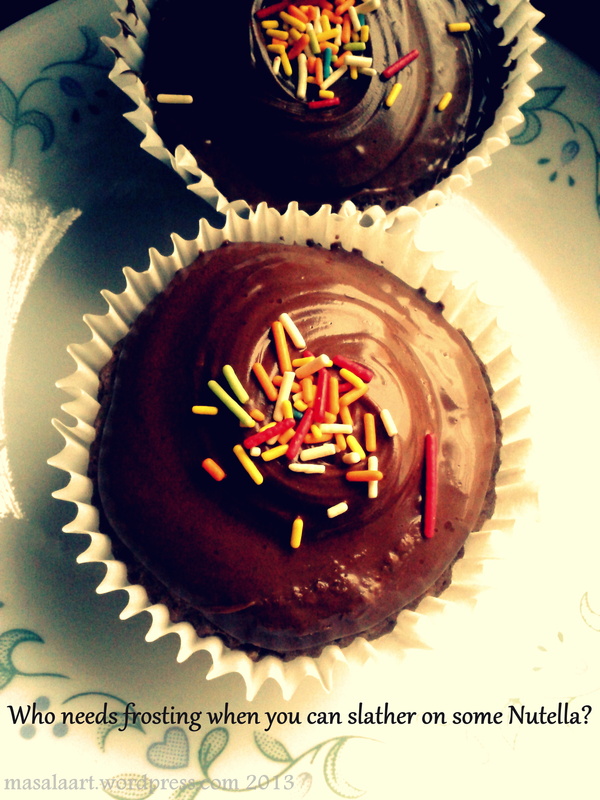 Once the cupcakes have cooled completely, slather on some Nutella! 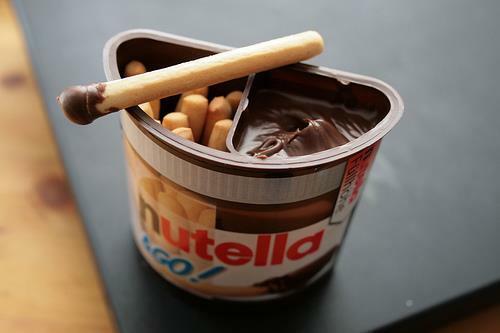 Oh, and Nutella lovers- I so want to go here! Awww thanks Michelle 🙂 That cherry mostarda you made now has me scanning the markets for any scant cherries that may be left! !